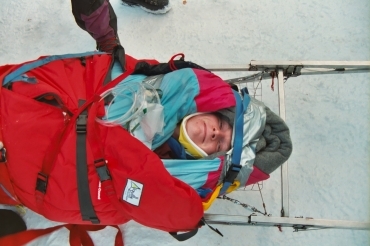 Our most comprehensive wilderness medical training course, the 6 day Wilderness First Responder (WFR) has a growing reputation as a global standard in training for remote wilderness medicine. It is delivered in association with REC and modelled on the WMS's First responder Syllabus. The Wilderness First Responder has a growing reputation as a global standard in training. This intensive 6-day course takes the Wilderness Medical Society’s First Responder syllabus and applies it to remote situations where evacuation may be protracted and complex. This wilderness medical training course is designed for those who work in remote locations and for those with support from another more experienced medic or online support from a doctor. Participants have included Mountain Rescue teams, remote exploration team members and expedition leaders. In order to attend WFR training, participants are required to have previously attended basic first aid training and to have a keen interest in outdoor activities. The course is part of the REC scheme and on successful completion attendees will receive a certificate (valid for 3 years) certified by Remote Emergency Care. We run the course once or twice a year as an open course for individuals but also often run it for organisations or groups. We're always happy to talk through what you do and where to help you find the right course for you - don't hesitate to contact us for more information. I was extremely happy with the course. Thought Lorraine did an excellent job, giving broad initial training followed by Ethiopia-specific training and scenario-based practical’s. Would highly recommend her, and your company, to other similar exploration companies (and have already). Very valuable training and excellent feedback from all involved.